View of Culebra's Flamenco Beach. The island, located off of the coast of Puerto Rico, still is powered by diesel generators. 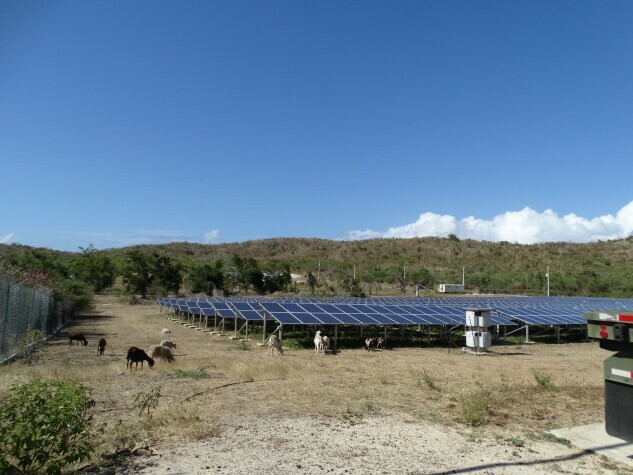 A 30-kilowatt solar farm powered by Windmar PV and Tesla-donated batteries is powering the waste treatment plant in Culebra, a small island located approximately 17 miles east of Puerto Rico. It could be a model for the future. 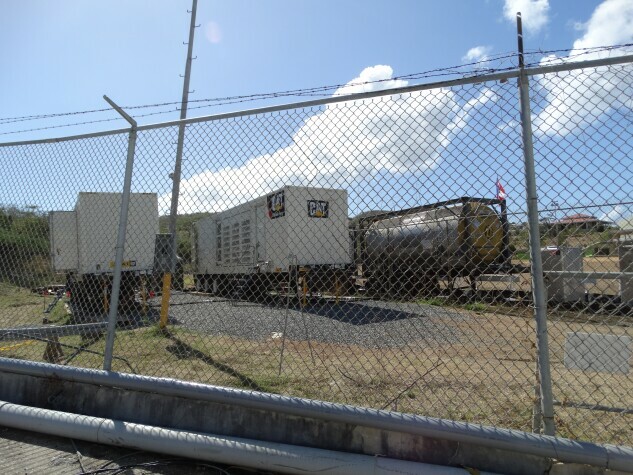 Meanwhile, just a short drive down the road is the electricity solution of the past: Two 1.8-megawatt emergency diesel generators, on loan from the Army Corps of Engineers, provide power for homes and businesses in Culebra. Two larger 3.3-megawatt diesel generators power the neighboring island of Vieques as well. Solar installers say Culebra and Vieques, two primarily tourism-driven islands that lie in the Caribbean Sea and Atlantic Ocean, could be testing grounds for how future renewable installations would work on the main island of Puerto Rico. A solar farm, built by Windmar PV in 2010, powers Culebra’s waste treatment plant. “Solar plus storage can provide lower cost energy, reliability and—more importantly—resiliency to Vieques and Culebra,” Victor Gonzalez, president of Windmar PV, a local solar-plus-battery installer on Puerto Rico, told Bloomberg Environment during a tour of his solar farm in Culebra in May. His company has two more solar-plus-battery installations powering a water pumping station and the waste treatment plant in Vieques. The Puerto Rico Electric Power Authority (PREPA), the island’s public utility, also recognizes that it needs to find another solution for the two islands. Before last September’s devastating Hurricanes Irma and Maria, Vieques and Culebra relied on a 38-kilovolt underwater cable to receive electricity from Puerto Rico. But the connecting substations on Puerto Rico and Vieques fell victim to the hurricanes, and PREPA says it could take up to four years to repair them. So in April, PREPA issued request for proposal for temporary power solutions that could provide at least 15 megawatts of safe, stable, and reliable power for Vieques, and which also would provide energy for Culebra via the 38 kilovolt underwater cable. Together they would power the nearly 11,000 residents on the two islands. An underwater cable, though, doesn’t seem like the way of the future to solar companies eager to provide their services to create a modern electric grid. 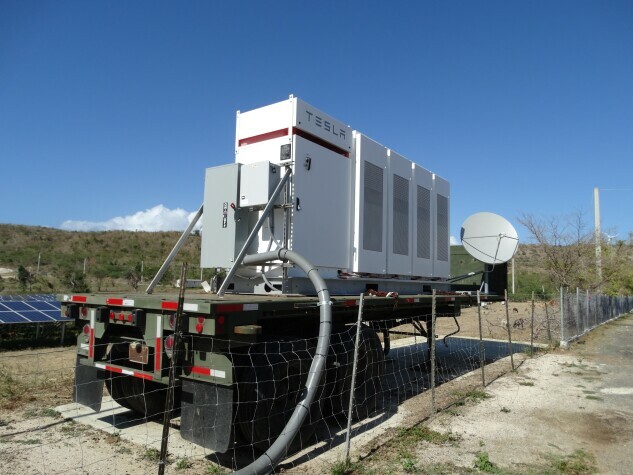 Tesla Powerwall batteries were donated in October 2017 to provide backup storage to the solar farm at the Culebra waste treatment plant. “Vieques will be a test case,” Christopher Rauscher, director of public policy at Sunrun Inc., a San Francisco-based solar company that donated solar-plus-battery systems to Puerto Rico after the hurricanes. “Undersea cables, poles, wires, and polluting generation? Or, clean, local, resilient systems that empower the people living there? Taxpayers don’t want to spend money on a system that is vulnerable to another storm,” he told Bloomberg Environment. Microgrids as Models for U.S. Even though renewable power makes up only about 1 percent of Puerto Rico’s electricity, PREPA’s new CEO Walter Higgins sees a role for solar and batteries on the islands to form microgrids, which are small sections of the electric grid that can operate in isolation when the centralized grid is offline. “My vision is that we would not have to reconnect the islands of Vieques and Culebra to the mainland,” he told Bloomberg Environment in an interview his San Juan office. “Then we’d put a resilient, distributed, renewable, sustainable solution for Vieques,” which he said would remain connected to Culebra to back each other up with power. He envisioned 10 to 12 distributed microgrids on the island of Vieques, which has about 10 times the electricity demand as Culebra. Higgins said Culebra could be powered by two or three microgrids. He said they would still rely on generators as backup but said he hoped they wouldn’t have to use them. “That would be a model literally for the United States and the world of microgrids that are distributed, resilient, and renewable and depend on only renewable resources for the most time,” he said. In the short term, Culebra will continue to be run by the emergency diesel generators from the Corps, which has extended its loan until PREPA can purchase other generators with Federal Emergency Management Agency funds. The Corps and its contractors left Puerto Rico May 18 with approximately 16,000 homes and businesses, or 1.1 percent of PREPA’s customers, still without power eight months after the hurricanes. Diesel generators currently powering the island of Culebra are on loan from the Army Corps of Engineers. Higgins said they will need other solutions soon, because the emergency diesel generators supplying power to Vieques and Culebra aren’t adequate. “They weren’t designed to run all the time, forever. They’re emergency generators not full-time generators,” he said. PREPA will award a contract to power Vieques and Culebra by mid-June, Jose Luis Blanco, a PREPA spokesman, told Bloomberg Environment.